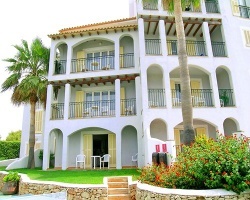 *Onagrup Mediterranean Cala Pi* is set in landscaped gardens leading down to a small sandy cove. This area of south-eastern Mallorca is still unspoiled and the scenery around the resort is of pine forests and rocky coves. 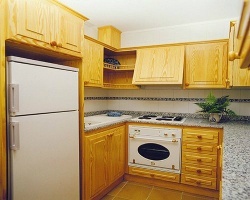 Facilities include two swimming pools, whirlpool, gymnasium and games room. Car hire is essential. This area is ideal for cyclists. On arrival in reception guests will receive an information pack on the resort and the surrounding area. Temperatures can drop quite low during the winter months. Incredible opportunity to own at this terrific resort! RTU until 2037! Buyer may receive a title fee credit, inquire for details! Stunning Spain retreat with great accommodations & amenities! RTU until 2054! Buyer may receive a title fee credit, inquire for details!